The Small Business Act of 1953 established the policy that small businesses shall have the maximum practicable opportunity (MPO) to participate on federal projects. Specifically, the Act requires that small businesses have the MPO to participate on federal contracts greater than $150,000 and that all contracts greater than $650,000 ($1,500,000 for construction) include a formal subcontracting plan. Therefore, one avenue for small businesses to participate on federal projects is to serve as a subcontractor. In accordance with the Small Business Act and the requirements outlined in FAR 19.702, 19.704, and 52.219-9 large business prime contractors and subcontractors are required to submit and negotiate a subcontracting plan (not to be confused with a small business participation plan required by USACE and NAVFAC). Typically, the subcontracting plan is submitted with an offeror’s proposal and finalized upon award. The subcontracting plan is not the most heavily weighted part of the overall proposal, but it plays an important part of the proposal process and becomes a material part of the contract for the successful offeror. Therefore the subcontracting plan deserves serious consideration prior to proposal submission. It is essential to review and understand the requirements and goals in the RFP during proposal development. Invariably there are subtle differences and it is important to address any questions through the request for information (RFI) process. The 11 required elements of the subcontracting plan are outlined in FAR 19.704 and 52.219-9. Typically, the agencies posting an RFP (USACE, NAVFAC, or GSA), provide a template or some type of guidance for the subcontracting plan reducing the amount of guess work required. The NAVFAC and GSA templates are posted on their respective websites. 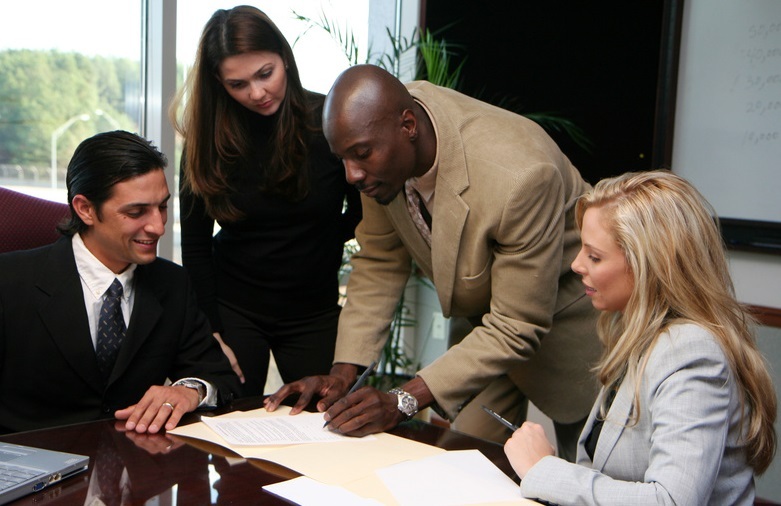 During the subcontracting plan development process it is vital to create a plan that meets or exceeds the proposal requirements or adequately justifies why lower goals are proposed, developed with the project team in mind and the best opportunity for success, and offers small businesses maximum possible opportunity to participate in a wide variety of trades. While the FAR establishes a regimented program to follow, it does allow for and encourage contractors to be innovative in their methods to increase small business participation. For example, FAR 15.404-4 (d)(iii) Profit – Federal socioeconomic programs allows for greater profit opportunity for a display of unusual initiative towards increasing small business participation. The key aspect being the contractor will go above and beyond the average contractor. As highlighted earlier, large business subcontractors are required to submit a subcontracting plan if their subcontract is greater than $650,000 ($1,500,000 for construction) and has the potential for further subcontracting opportunities. It is important for the prime contractor to clearly articulate this during proposal development and estimating. Similarly, every large business trade subcontractor should anticipate this requirement and begin dialogue with the prime contractor. As a best practice, a prime contractor should develop a standard letter template to distribute to the large business subcontractors outlining the requirements and expectations upon award. Check your math, and then check it again. It is too common I find basic math errors calculating percentages and dollar values in the subcontracting plan. Improper interpretation of the rules to calculate small business participation. Small business participation in the subcontracting plan is calculated based on “subcontracted dollars”, not the total contract value. Using the total contract value lowers the achieved participation rate. It is worthwhile to note the opportunity confusion as the small business participation plan is calculated based on “total contract value. Self-certification errors. Some self-certifications are not completed correctly exposing the prime contractor to risk and possible loss of small business credit.